Mon., Nov. 20, 2017, 10:48 p.m.
Canterbury Court, 1010 S. Rockwood Blvd. Corbin Senior Activity Center, 827 W. Cleveland Ave. The Delaney, 242 W. Riverside Ave.
Hillyard Senior Center, 4001 N. Cook St. Opportunity Presbyterian Church, 252 N. Pines Rd. Cheney Care Center, 2219 N. Sixth St. Deer Park Senior Center, 316 E. Crawford Ave. 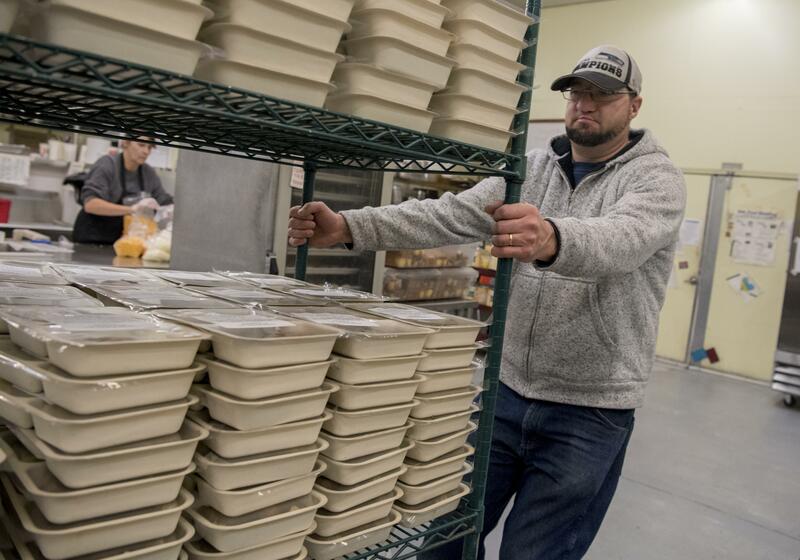 Greater Spokane County Meals on Wheels plans to serve more than 1,200 turkey dinners at its 12 Silver Cafe locations on Wednesday and through its home-based delivery program. Meals on Wheels Executive Director Pam Alameida said the center, along with a group of volunteers, is gearing up for the holiday by preparing and packaging meals. For home-delivered meals – which are free of charge – recipients must already be enrolled in the program and will receive a hot meal with turkey, stuffing, mashed potatoes, vegetables and a dessert. Alameida said the meals are a welcome surprise for homebound seniors during the holiday. For individuals older than 60 and not on the home-based delivery program, Thanksgiving meals will be served at all 12 Meals on Wheels Silver Cafe locations Wednesday beginning at 11 a.m. for a suggested donation of $3.85. Alameida said there’s typically a large turnout for those Thanksgiving dinners served Wednesday. “We have up to 100 people coming in at some locations, and some are smaller,” Alameida said. Meals on Wheels also plans to provide Christmas Eve and Christmas Day dinners again this year – a tradition the nonprofit has continued for more than 19 years. Published: Nov. 20, 2017, 10:48 p.m.